If you think this looks like a mess, well it does because it is. I am working on the training level which means I have to make a small sampling of the major themes and trails that will be in the game. It is a cross-cut, a sampler-platter, a coming-attractions reel. All of that. 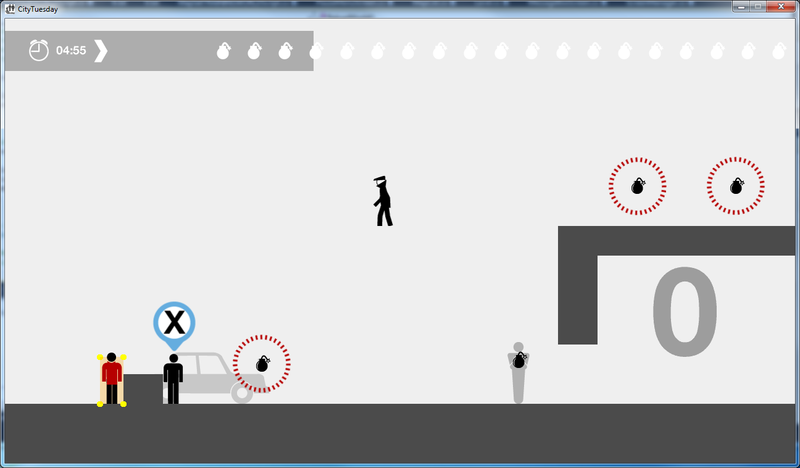 The challenge of this is that I have to code a lot of mechanics of the game all at one time. The good thing is that once I am done with this, the rest of the levels will roll out much faster because the support code will all be done. By the way, what you are seeing is the first room in the game where I test out the new features. It is like a crazy jungle-gym of triggers, touch plates, enemies, and collectibles.